Run in 6 week blocks, our ArchErie youth programs are designed to give our youth the most competitive opportunities intramurally and nationally. Students in this program are eligible for scholarship opportunities. Each class is 2hrs long, 1 hr of team coaching and 1 hr of practice time, per week. Students do not need to have their own equipment, but are welcome to bring their own equipment if they have it. 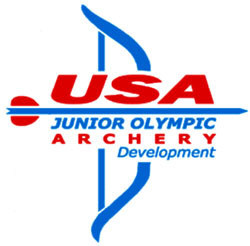 Junior Olympic Archery Development (JOAD) is a program of USA Archery that helps archers to enjoy the sport recreationally or progress to the excitement of competition! JOAD offers barebow, recurve and compound archers the opportunity to learn range safety and proper shooting technique in an environment that also fosters focus, increased self-confidence, and team building skills. JOAD is open to any youth archer aged 8 to 20 and is designed to grow with the youth archer. Introductory JOAD classes teach the fundamentals of proper shooting form; as the young archer develops, they will learn more advanced techniques and earn achievement awards. The Scholastic 3D Archery program is simila to our JOAD program with an emphasis on 3-D archery, this is the perfect program for the young bowhunter in your life. Students will train for all forms of archery competition as well as learn about conservation and its place in our modern world.